It’s a far, far, cry…. Look at the foot of the Championship table and you’ll see evidence of the continued decline of a club that was once progressive, exciting, multi-talented and…successful. Ipswich Town used to be one of those clubs that could easily be categorized as “everybody’s second favourite team”. Like a number of clubs that have flirted with greatness at times, Ipswich are a pale shadow of the club that blazed a trail across Europe and threatened to win things on a regular basis. As it happens, a UEFA Cup in 1981 and FA Cup in 1978 are all they have to show for a golden period when the club’s best eleven could rub shoulders with the finest in England. Paul Jewell’s recent departure from Portman Road is further evidence of a club that is going nowhere. But it’s been a slow spiral that started in the mid-1980s in the aftermath of Bobby Robson’s departure to manage England. Ipswich were a rustic, homely club. They were friendly, they played adventurous football and they also provided not one, but two England managers. Alf Ramsey, who shocked the nation when he led Ipswich to the Football League Championship in 1962 with a team of journeymen, preceded Robson by a decade and a half. They also had the Cobbold family behind them, a bunch of publicly- schooled gentlemen brewers that spawned the Greene King brewery. They represented the old type of benefactor, the sort that were invariably behind every Football League club in the provinces. The Cobbolds were tweedy, scholarly patricians, or at least that’s how they came across. They presided over a period between 1972-73 to 1981-82 during which Ipswich failed to finish in the top six just once. Robson was the key, rated as one of the most innovative coaches around. He had a glut of talented players in his time at Portman Road – Mills, Butcher, Osman, Thijjsen, Wark, Muhren, Gates, Brazil and Mariner to name but a few. But when he departed, bringing to an end a mini-dynasty, Ipswich declined. 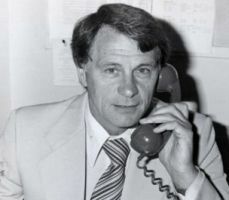 And when it ended, there was a sense of an opportunity lost, because Ipswich should have won the league during Robson’s reign instead of two runners-up spots and three third places. A lack of familiarity with the big occasion and a lack of strength in depth was probably their undoing. In the past 30 years, they have spent too long below the top division. In the past 18 years, they have had just two in the Premier, a league that upon its creation, consigned many clubs to this “too small to succeed” category. The Premier’s riches, fuelled by new-monied tycoons and SKY, dwarfed the contributions of traditional football sponsors. As the new order poured cash into the obviously big clubs, who could arguably provide some sort of return for their ‘investors’, smaller clubs were left in the slipstream of the leviathans. Ipswich, Norwich, Southampton, the Sheffields and so on and so forth – all suffered. It’s good to see Norwich and the Saints making a good fist of it at the moment, although for how long? There’s a lack fo stability at Ipswich these days – a far cry from the days of the Cobbolds and Bobby Robson (who belongs far more to Ipswich’s heritage than the Geordies). In the past five years, they have drifted from upper mid-table to upper lower-third, with placings of 15th, 13th and 15th. It’s a worrying sign but the Ipswich public are, amazingly, keeping some sort of faith. Their gates this season have been constant (fluctuating between 19,000 to 16,000), despite the team’s failure to win any of their first seven championship games. As for the squad, only two of the team that lost to Sheffield Wednesday were contracted to Ipswich beyond the end of the current campaign. Jewell had a squad full of loan players. That, along with his increasingly clichéd approach to life in the dugout, will be his epitaph. Those that remember the halcyon days of Suffolk football will hope that this season does not become Ipswich Town’s. Next Entry Is the Football League Cup making a comeback?